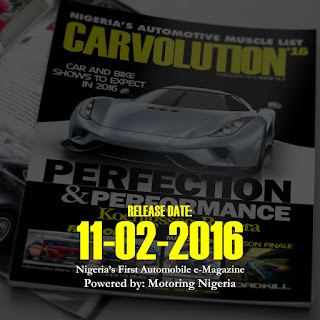 Motoring Nigeria has perfected its plans to launch Nigeria's first automobile e-magazine tagged Carvolution Magazine. 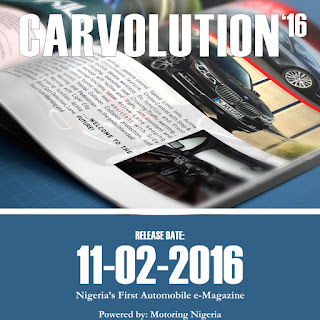 The first issue of the magazine tagged Carvolution '16 will be launched on Thursday 11th February 2016. According to the President of Motoring Nigeria Oluwakorede Adejoro "the idea started in 2015 and it was supposed to be a project in which Motoring Nigeria would interview 15 notable people in Nigeria's automotive industry but it metamorphosed into an automotive magazine in October 2015. The initial launch date was on boxing day 26th December 2015 but it had to be changed. Since then, days passed, months passed and deadlines were shifted all in our efforts to perfect our bid to give Nigerians the best of experience with Carvolution Magazine; Nigeria's first Automobile e-magazine." The magazine will be free to download and a target of 10,000 downloads and views has been set for the first issue of Carvolution. The contents of the magazine would include a "Face-Off" between the 2016 Mercedes Benz GLE 450 Coupe and the BMW X6, Nigeria's automotive muscle list, an interview and a special feature, the cover story about the Koenigsegg Regera and lots more. 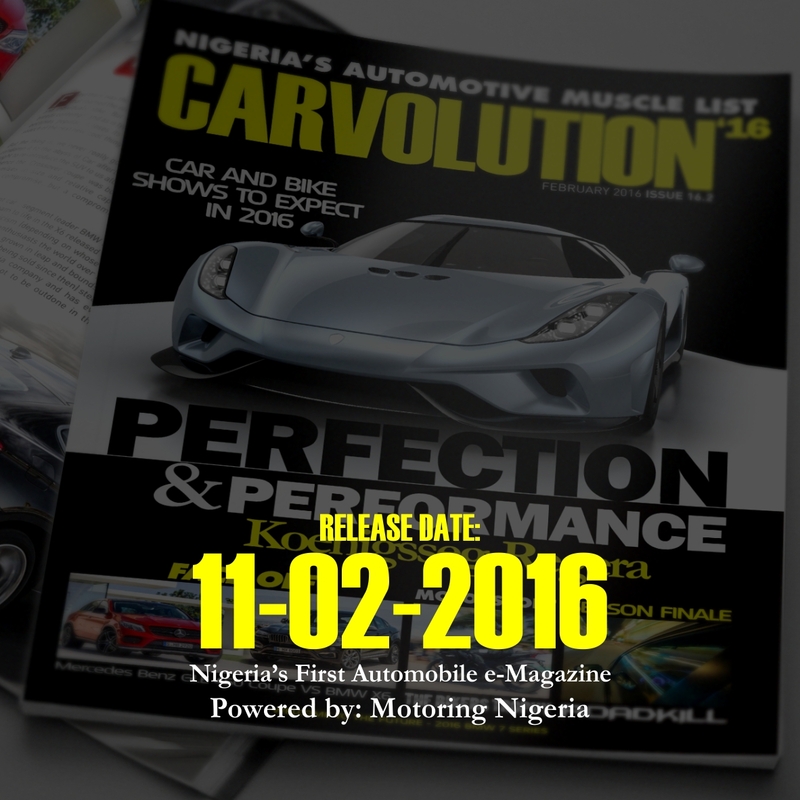 Motoring Nigeria will be launching Carvolution Magazine on Thursday 11th February 2016 and the download link will be available on www.motoringnigeria.com.